March is right around the corner and it brings the annual Game Developers Conference (GDC) in California. Putting my own jealousy for those attending aside, this week’s Crowdfunding of the Week is to help the twenty-five scholarship recipients of Dames Making Games travel to GDC to represent women in games and network with their industry colleagues. 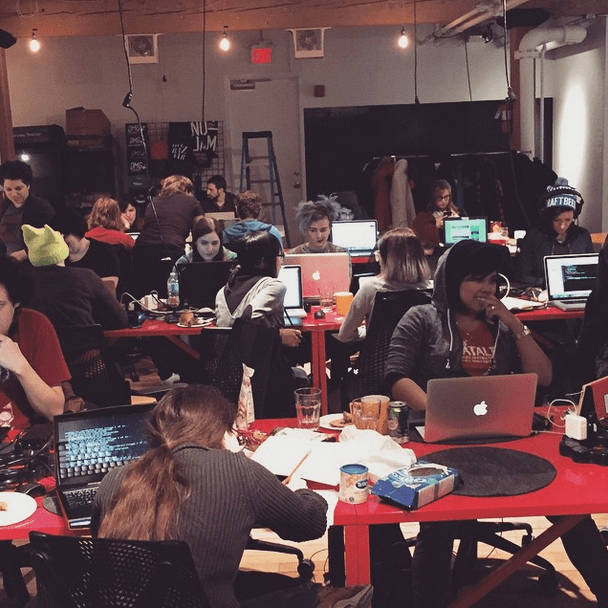 Dames Making Games is a not-for-profit organization founded in Toronto in 2012 which run a wide range of programs and events for women, non-binary, gender nonconforming, trans and queer folks interested in games. The group hosts monthly social events, quarterly game jams and roundtables, ongoing workshops and special public events. Twenty-five members of the Dames Making Games community have received All-Access Passes to GDC through their scholarship program. Many of our members are low-income, students, or freelancers, so the cost of traveling to the conference is still prohibitively high even with the passes taken care of, so Dames Making Games set up a campaign to raise sponsorship money and donations to help send all the scholarship recipients to GDC. Although the main sponsorship goal has been met, with the support of companies such as ID@XBOX, towards the bottom of the page supporters can donate smaller amounts to help with things like food and local transportation. Anyone who has traveled for a work conference knows those little extras can add up quickly. 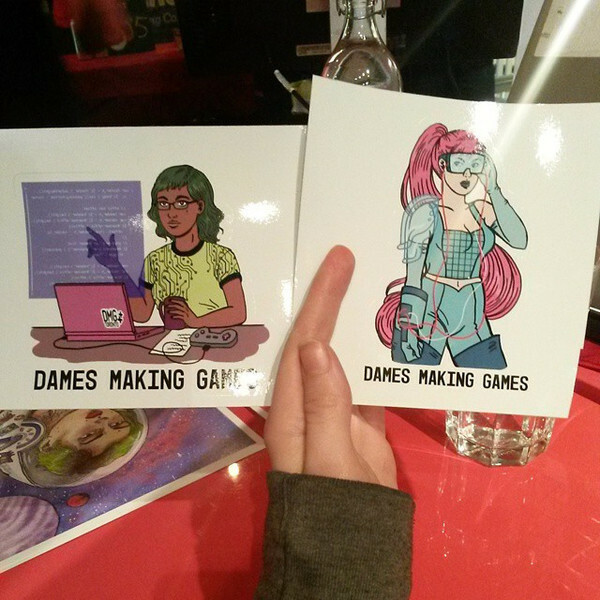 Heading to your own work conference and want to show your support for Dames Making Games? Grab one of these way wicked awesome sticker packs in their shop. If you want to see and support more diversity in games, here’s a great way to do it. GDC is the largest professionals-only game conference running over 5 days with over 24,000 attendees and featuring over 400 panels, lectures and roundtables. Having Dames Making Game represent is powerful for them but also developers from other companies interacting with them as well. When more developers and industry professional are exposed to different viewpoints and experiences, we all win.